SoNo Fitness- Lincoln Park - Try a free class today! At SoNo Fitness and Crossfit, we take a holistic approach to training, incorporating fitness, nutrition, and recovery. Try SoNo Fitness for Free! 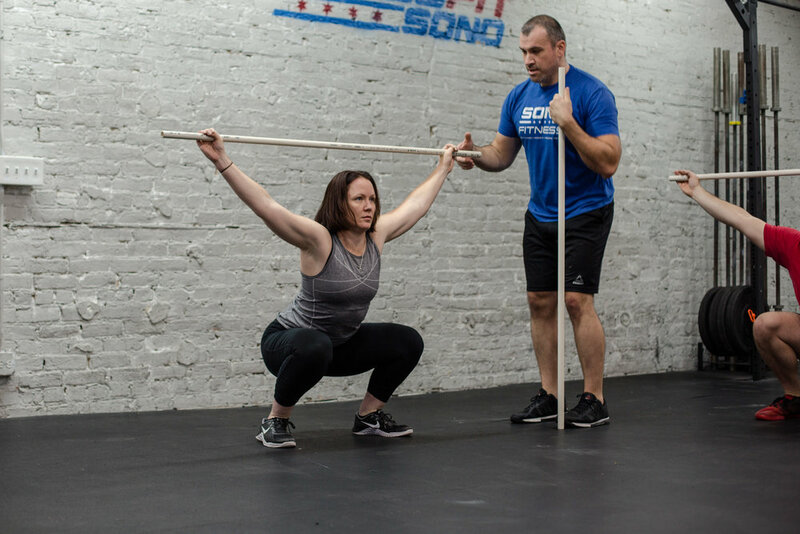 SoNo Fitness and CrossFit, located in Chicago's Lincoln Park neighborhood, is a functional strength and conditioning program that, by design, can be adapted to all fitness levels. Each class is designed to provide a full-body workout. No more boring workouts. Every session is challenging and different. SoNo Fitness – Chicago trainers are experienced, nationally-certified professional trainers whose only job is to train people. They are dedicated to seeing you succeed. SoNo Fitness is a community. One of the reasons we are so successful is the support and friendship from your fellow athletes. We train as a team! Everyone gets better together. SoNo Fitness is a small-group fitness and CrossFit gym that offers a variety of programs to improve your strength and conditioning, mobility, and flexibility. The small class size allows our trainers to focus on each student to help them achieve their goals. Let us know your your experience level below and try SoNo Fitness for free! Our Foundations program was created to safely introduce new members to fundamental movements and exercises necessary to be successful in any training program. The program will give you a strong foundation and better prepare you for our workouts. At SoNo Fitness our workouts are constantly varied functional movements performed at relatively high intensity. All workouts are based on functional movements, and these movements reflect the best aspects of gymnastics, weights, running, rowing and more. We love hosting visitors from other boxes for a throw down.